"HONORING THE CODE: WARRIORS AND MORAL INJURY". Many of our warriors return from war with unresolved guilt or a feeling of failure. This may be the result of something they did or experienced while in combat or may be due to the fact they made it back while a buddy didn't (survivor's guilt). The guilt they carry isn't necessarily due to their actually having done something wrong. It could be from having followed an order or simply having the "feeling" it was improper. Honoring the Code provides understanding of the issue and how to get help. As with our previous film, If you are a veteran, or actively serving, or an immediate family member of a combat veteran or service member, and would like a copy of this film, email Don Malin at don@CrossSwords.org for information on how to get your copy or click on the "Order DVD" tab.Click on the image below to watch a special Sneak Peek of this film. If you would like to help us by supporting this project, CLICK HERE for more information. Post-Traumatic Stress Disorder (PTSD) can be devastating to those who return from service and their families. All too often it goes unrecognized or is ignored. CrossSwords in conjunction with Front Porch Media Group has completed a documentary to help Veterans and their families recognize PTSD and know how and where to get the help they need. Our goal is to give every combat veterans and active service member a free copy of this film. 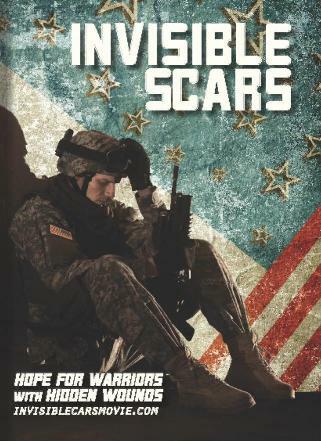 If you are a veteran, or actively serving, or an immediate family member of a combat veteran or service member, and would like a copy of this film, email Don Malin at don@CrossSwords.org for information on how to get your copy or click on the "Order DVD" tab. If you have ever served in a combat situation you know that the conflict doesn't end when the tour of duty is over. Conflict often follows us home; not the military conflict we faced in battle, but the conflicts many now struggle with in their day to day living – trying to forget many of the experiences we went through – while pretending as if nothing happened, or the struggles of trying to put a family back together or returning to the civilian workforce. We understand your conflict and want to help you connect with others who share your experience. Our Executive Director, Don Malin, has served alongside many of you and has shared many of the same struggles. Visit some of the links on our site and then let us know your story. Help is closer than you think. If you are a combat veteran and would like to help out by connecting with a buddy who is still hurting, contact us and let us know you want to be involved.